"Do you think that I could be a drummer someday?" I told her that she could be anything that she wanted... she just has to do it. 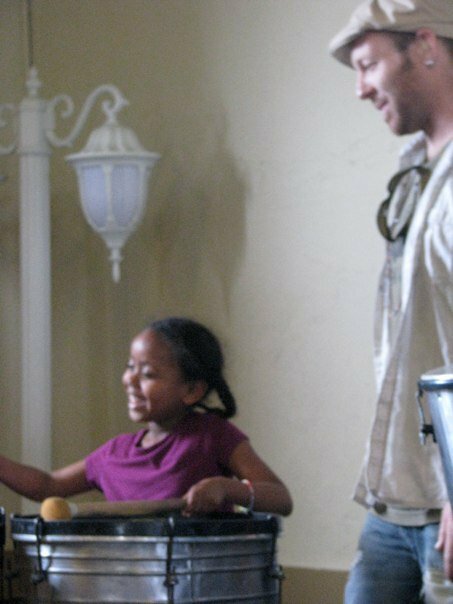 Then I had her play the drums... She was a natural of course... I love opening doors... Here she is... probably her first time on the drums. A total natural with a beautiful spirit. Her little sister came and gave me a hug when I knelt down to say goodbye. 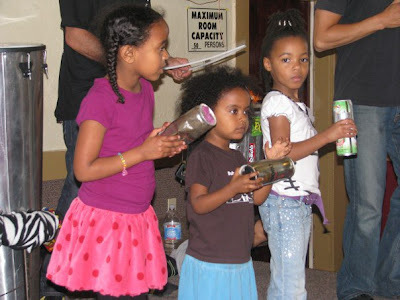 She is the percussionist in the middle... her little shirt says "Baby Got Barack"
Ah, great story! Come back to Seattle!